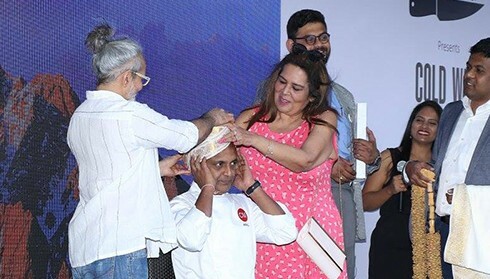 Further to the signature launch of The Chef Post portal last September where the city witnessed its top chefs walk the ramp in style, the portal has become a favourite amongst many to stay updated about chefs & everything culinary. 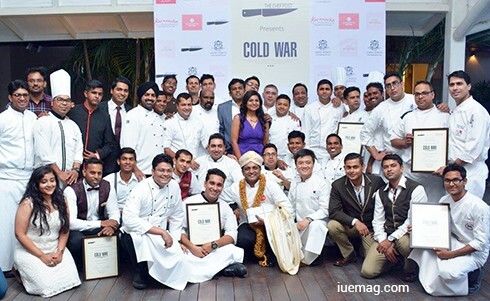 On 10th February 2017, The Chef Post hosted their first grand event of the year - Cold War. Cold War, which was a towering successful event, was a celebration of dessert & drink pairing with the top hotels in the city. 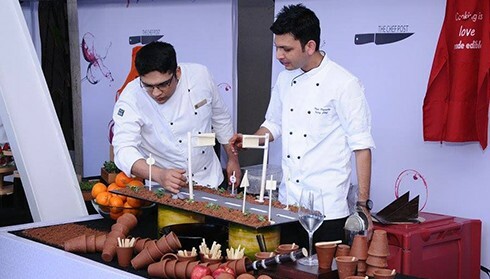 This year chefs from 11 luxury hotels of Bengaluru participated in the event held at the JW Marriott Bangalore, and presented their signature dessert that was paired by the erudite winemaker, Dr. Akshay Baboo. He is a winemaker, researcher, rootstock consultant, and beverage consultant. He has vinified with the biggest names in the European Wine and Hospitality market, and he is the first Indian Oenologue certified by the Chambre d'Agriculture de France (French Agricultural Ministry). The highlight of the event was all the culinary art presented by the hotels were paired with some innovative and some classic drinks. 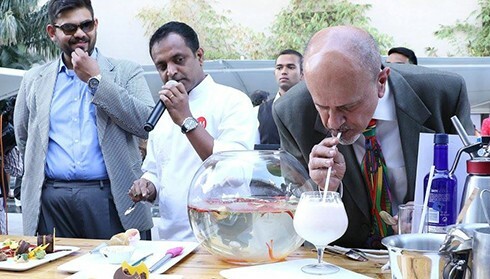 The dessert & drink degustation was showcased to a tasting panel that consisted of eminent personalities in the food space spearheaded by Chef Manjunath Mural, a Michelin Star Chef from Song of India, Singapore. This was strictly not a competition nor was there any scope of judgments or criticism. 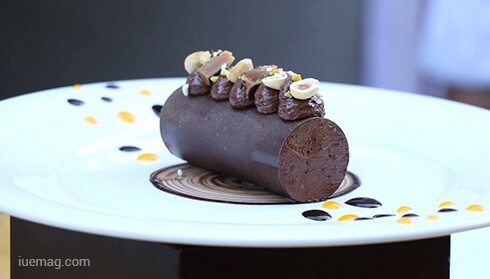 It was all in a great tenor to celebrate the love for desserts & drinks where the chefs showcased their best on the table for the audience with a healthy competitive spirit! 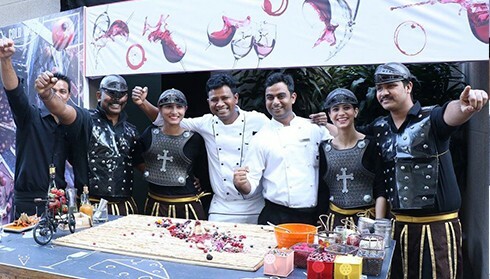 Here’s what The Chef Post’s CEO and Co-Founder, Sneha Chandrashekar had to say about the Cold War during the event, "After the wonderful chefs of Bangalore slayed the ramp last September during our launch, we've been busy building our technology, user-base & keeping our chefs engaged. We wanted to begin the year on the sweetest & coolest note possible & thought nothing better than Cold War! We decided on hosting Cold War - an interesting degustation of desserts & drinks where 11 hotels showcased their signature desserts paired with drinks by an erudite winemaker. We're also honoured to have the Michelin star Chef Manjunath Mural who is spearheading the tasting panel for the event." The Cold War was supported by the Karnataka State Tourism Development Corporation (KSTDC), with Millennial Mode coming in as the title partner, Aspri Spirits as the beverage partner, RED FM as the official Radio Partners, Gustovita as their dessert partner & iU eMagazine as the online media partners. About The Chef Post - With dining evolving each day, there is a lot to talk & discuss about. When everyone’s talking, it’s important to gather or discern authenticated information about our favourite dining places. The Chef Post has made way into the culinary technology space, envisioning progression in the way food & food-creators are presented to food enthusiasts. This intuitive and interactive portal is a new age website that’s visually eye-catching and content rich. 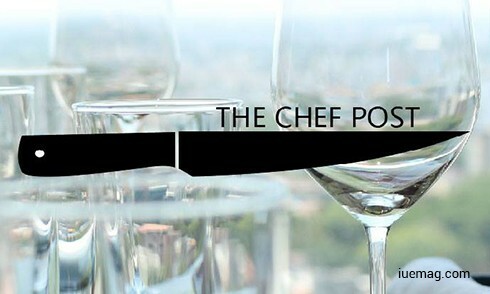 The Chef Post’s inspiration is undoubtedly the chefs who are the creators of the scrumptious food we eat. The narrative and fine storytelling aspects woven on the website makes an engrossing read for a diner & proves to be informative prior to visiting a certain place. It currently features the chefs of the luxury hotels, their restaurants, and events, and featured articles along with any events happening. The user engagement will be driven with exclusive features interacting with their favourite chefs & information about their most loved restaurants. Any facts, figures or references stated here are made by the author & don't reflect the endorsement of iU at all times unless otherwise drafted by official staff at iU. This article was first published here on 24th February 2017.